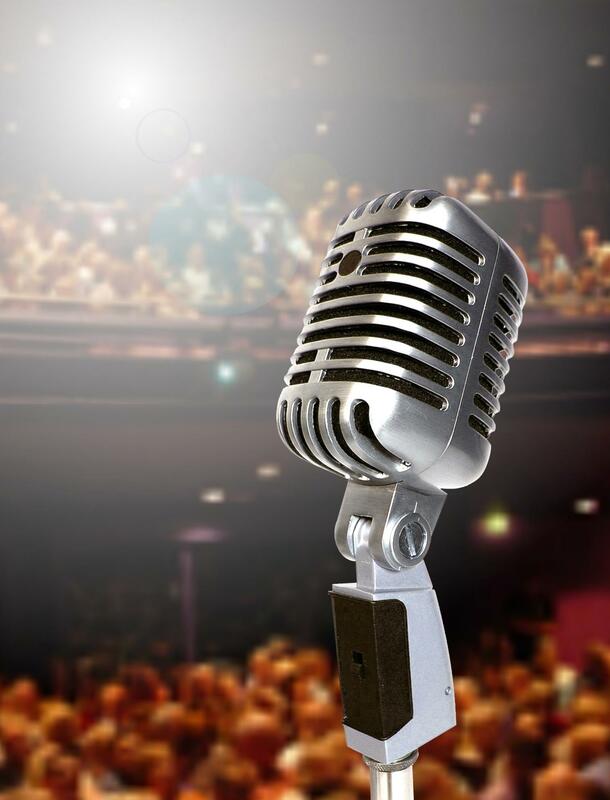 Marketing Lessons from Last Comic Standing’s Final Three - SEO Eblog by SEO Advantage, Inc.
A good stand-up comic is inherently a marketer. In addition to being funny, he or she has to create and successfully sell a brand. In fact, there are a lot of lessons we as marketers can learn from comedy, including a few from the remaining contestants on this season’s Last Comic Standing. If you haven’t been watching the show this season, you’ve missed one of the best so far. You can still catch the finale tomorrow night, and I highly recommend checking out previous episodes online. So many of the things the comics discuss with their judges and mentors translate directly to what we do in marketing, because we are both in the business of gaining buy-in from an audience. Plus, this season’s comics have been killing it! I started thinking about the marketing connections while watching a recent episode of the show, because each comic’s individual strengths can be seen as a lesson for online marketers. Rod Man was actually the inspiration for this post, after one of his performances demonstrated how much can be gained when you truly engage your audience. His material on ugly babies, or babies who are “going through changes,” as he puts it, could have easily been seen as mean-spirited, but his manner is so open and engaging that he was able to make the entire audience laugh. When you can create comedy at the expense of babies without coming off as a jerk, you know you’re doing something right. So what’s he doing so right? When you watch Rod Man’s comedy, you don’t feel like you’re watching a stranger perform. You feel like you’re hanging out with your buddy. You’re completely engaged. As marketers, we have opportunities to engage with audiences daily through blogging and social media, and as we see from Rod Man, tone and voice are so, so important to that. There are places where formality is necessary, but rarely are those places in the social media sphere, and most blogs can be fairly informal as well. Most audiences want to engage with people, and robotic formality is simply counter-intuitive. Open up a bit, and your audience will, too. Nikki Carr is funny in large part because she’s so authentic. Her comedy is self-deprecating, and that’s a strategy that can easily go wrong. When a comic makes jokes at her own expense, the audience’s laughter could become mean-spirited. Nikki’s presentation has so much honesty behind it, though, that you are always laughing with her, and never at her. Authenticity is something we should strive for in online marketing, as well. The internet audience is more involved than offline audiences ever were, and that gives us opportunities to either create brand loyalty or squander that good will away. Be authentic and real in the way you represent your clients on blogs and social media. When you do your link-building outreach, be genuine and conversational, not rigid and formal. Don’t rely too heavily on templates and formulas. The trick to Nikki Carr’s humor, and to successful outreach, isn’t really a trick at all. Just be as authentic as possible. There’s no doubt Lachlan Patterson is funny, but it’s also pretty clear he didn’t just count on his humor and good looks to get him through. He has mentioned workshops and classes on the show, and it’s also apparent in his bio on the Last Comic Standing website that Patterson has spent his career honing his craft. The lesson here is pretty straightforward. You might have a natural talent for copywriting, or outreach, or seeing patterns in analytics, but that’s no excuse not to keep learning as much as possible. Read books and blogs, follow the right people on social media, and always be on the lookout for new techniques you can test and apply. Joe Machi placed fourth in the competition, and there’s something we can learn both from his success and from his elimination. Not only do Machi’s jokes tend to land somewhere completely different from where you expected them to, his entire demeanor and delivery is so outside the norm that one judge even asked if he was playing a character after his first performance on the show. In marketing terms, Joe Machi is the opposite of that list of “10 Marketing Tips Everyone Knows but I’m Presenting them Like Brand New Information” blog post you read this morning. He’s more like this “choose your own adventure” story of Matt Cutts’ vacation. He consistently gives the audience something unexpected. The manner of his leaving the show is also a lesson, though. As Machi grew more comfortable, he began to lose some of his spark. He’s still very funny, but the quality that got him so far in the competition – his nervous demeanor – started to disappear, and it cost him a spot in the final three. Always try new techniques and test new methods, but when you find that “thing” your audience responds to, be it a certain voice in the writing, a specific type of content – whatever your unique selling prospect is stay consistent about it, and above all, show the audience something they don’t expect.